In the early 1980s, I was in my 30s and worked in a construction company. As I was young, strong, and honest and had a perfect mastery of building technology, I believed that I would surely be able to accomplish something in the company and live a life better than others’ as long as I was conscientious in my work. I worked in this company for several years, but I was puzzled that although my behavior was faultless and my technical level was unquestionable, my efforts were not approved, for my grade on the pay scale had always been Grade III, which was far from Grade VI, the top of the pay scale of the company for the staff. Seeing my junior workmates inferior to me in technical level were all promoted on the pay scale, I felt so confused. Later, a workmate who was on good terms with me gave me advice with a smile, “The most important thing for you to do in this company is to have a close relationship with the manager. At least you should show regard for him at every festival and at New Year.” When I knew this, I felt very annoyed, for I disliked those bootlickers and detested those who didn’t labor but could be promoted on the pay scale by fair means or foul. But in order to establish myself in the company, I had to adapt to this hidden rule. At New Year, I showed my “regard” for the manager of our company, and he immediately promoted me to foreman. This entry was posted in Articles and tagged Almighty God, know God, Life, mankind, The Kingdom on 2017-01-25 by summer sunshine. At the age of nine, I suffered from a strange disease suddenly. When it attacked me, I would vomit and have no strength all over, with a headache and stomach ache. It attacked me four or five times one week, and it was a sheer torture to me. My family took me to many hospitals for treatment, but none of the hospitals could find what disease I suffered from. So, my mother prayed to Bodhisattva and Buddha for help and took me to witch doctors. But all had no effect and my illness persisted. One day, my mother’s friend came to preach the Lord Jesus’ gospel, saying that He is the Redeemer of mankind and could heal my disease. After believing in Jesus, my mother led me to have meetings and make prayers. Contrary to all expectations, I was fully recovered three months later. At that point, in spite of not knowing what true belief in the Lord was, I knew that it was the Lord Jesus who healed me and I should rely on Him properly. Afterward, the pastor gave me a Bible. Every night, my father sat beside me and read the Bible for me. I was deeply attracted by the biblical stories. The Lord not only could heal the sick and drive out demons, but also could make the dead rise, allowing me to feel that the Lord possesses great power. At the age of twelve, I began to attend adult Sunday worship. Seeing pastors give sermons to shepherd the church, I was very envious and wanted to be a pastor or a preacher to work for the Lord, preaching the Lord’s gospel, when I grew up. Despite knowing nothing of serving the Lord, I knew that the biblical knowledge was very important to believers in the Lord. Thus, I started to study the Bible. I read the whole Bible for several times. At eighteen, I had gained some knowledge of the Bible and began to learn from Paul to serve for the Lord hard. I was a counselor of a Junior Youth Fellowship in a church and later became a preacher. At the beginning of the service, my heart brimmed with peace and joy and I really basked in it. I had great faith to spend for the Lord. When giving sermons, I spoke at great length. And I was doing gospel ministry work particularly well. I built mission stations with pastors, worked as a full-time co-worker in a big church, and established three small ministry teams. Back then, I served, gave sermons, preached the gospel, and visited brothers and sisters with our pastors in my hometown, with the result that many weak brothers and sisters were sustained and helped. During that period, I also wrote many courses of studying the Bible and of training small-team leaders, and sent some articles to the church literature service, sharing my own testimony and understanding of some verses, etc. It could be said that I was in the Holy Spirit’s stream and followed the Lord with great confidence. As several years passed by, however, I couldn’t feel the work of the Holy Spirit and gradually lost my faith in service. So, I looked for the church with the work of the Holy Spirit everywhere. I attended the service of many other churches with my pastors in Evangelicals and Charismatics but didn’t yield great results. During the service, I saw that co-workers vied against each other, excluded and belittled each other, envied the good and able, had jealousy and strife, and even fabricated accusations to frame others. In one church I served, two pastors competed against each other for position and resulted in the separation of the church. Later, I went to another church, where the pastor was against two chairmen and they undermined and disagreed with each other. Feeling helpless, I had to choose to leave. Then, I was envied and framed by others in another church and underwent all sufferings and I could do nothing but go away. … Having experienced so many things, I saw that the church was completely ruled by man and that pastors and elders always restrained people in a condescending attitude, they didn’t talk about the truth, or something concerning knowing God, obeying God, or carrying out God’s will. When giving sermons in the gatherings, they didn’t focus on talking about how to practice the Lord’s words, follow God’s commandments, but speaking a lot about donation and grace. No matter in which church, I couldn’t feel the Holy Spirit’s work. So, I was overcome by feelings of depression and despair and had no way to go. Reluctantly, I stopped my service in the church and chose to read the Bible at home. For a person like me, who pursued to serve God, it was very miserable not to sense God’s presence and find the direction and goal to go forward. The pain in my heart couldn’t be expressed in words. I often thought: Won’t I muddle along day by day like this? Won’t I maintain a living and wait for death in this way? How should I face the Lord’s return if I go on like this? In the midst of my pain, I prayed to the Lord, “O Lord! Where are You now? O Lord! I don’t know how to walk the way ahead. My heart is extremely distressed and sorrowful. O Lord! How I yearn for Your coming! How I yearn for the light appearing in the darkness! O Lord! May You guide me….” Every time when I made such a prayer, I would have a good cry. However, regardless of how I prayed, I still couldn’t feel the Lord’s presence. Afterward, I read many books that explain the Bible and surfed the Internet to study the materials of expounding the biblical prophecies. I also kept praying for the Holy Spirit to enlighten me to find the cause of the church’s desolation and the mystery of the Lord’s coming. But I failed to get the answers. As time went by, the pain in my heart worsened day after day, with confusion and hesitation. At last, I put my heart into studying and sharing the Bible with the friends from all nations and places on Facebook. Every day, I prayed and studied the Bible, hoping for the Lord’s second coming with my whole heart. I thought to myself: Perhaps everything will turn out for the good when the Lord comes. Reading these words and thinking about Sister Zhang’s knowledge of the Son of man, I felt what they said was very practical and that their fellowship was reasonable and made me feel God’s love and salvation to man. They were testifying to God. But I had a second thought: No matter what, I should be cautious and can’t casually accept the way which differs from my understanding. Anyway, I should seek to see whether it is from God. So, I promised that I would communicate and share with them the following night. Unexpectedly, on the next day, my son who was only one and a half months old, was feverish and hospitalized. The doctor said that there were viruses in his blood and he had to be cured immediately otherwise his life would be in peril. I was scared to death. At that point, I thought of Sister Zhang Hua and told her my son’s illness, asking her church to pray for my son. Later, Sister Zhang and Sister Liu both sent me the same passage of God’s words, “Almighty God is an almighty doctor! Living in illness, you are ill. Living in spirit, you will be fine. As long as you have one breath left, God will not let you die. … God’s word is a sovereign remedy! Shame the devils and Satan! Touch God’s word and we will have support. God’s word remedies our heart instantly! Nothing will go wrong and everything will go peaceful” (“The Sixth Utterance” in The Word Appears in the Flesh). Sister Zhang said, “Brother, this is God’s trial to you as well as Satan’s temptation. God wants to test your faith through it. We should, like Job, not utter complaints against God but stand firm in the testimony to God and glorify Him. Let’s pray to and depend on God with one heart and one mind so as not to fall into Satan’s trick.” With the sister’s help, I finally came to my senses: Actually, it is God’s trial. I should praise God and not complain about God as Job did when trials crop up. Regardless of how Satan attacks me, I’m willing to give my son’s life to the Lord and allow Him to reign, and I’m willing to obey His orchestration and arrangement. Thanks be to God! The faraway care and encouragement warmed my heart. I felt Sister Zhang and Sister Liu have a loving heart and that their help and encouragement come from God’s teaching but not the flesh. I also saw the Lord’s wonderful arrangement. I had never thought that when I encountered difficulties, God would arrange two foreign sisters whom I had never met to comfort and encourage me, so that I would not fall prey to Satan’s trickery and stand the testimony for Him. I especially felt God’s dearness and loveliness. What’s more, out of my expectation, my son was cured and released from the hospital three days later. That was really God’s special protection! I offered a grateful prayer to God. Sister Liu’s well-founded fellowship rendered me speechless. Yes! As the Lord’s coming is a great matter, I can’t jump to conclusions carelessly and should seek and investigate humbly. But I thought that no theological study had expounded these verses like this. Influenced by the theological study, I couldn’t accept the fact that the Lord has been incarnated. I reckoned I should study the Bible and seek the Lord’s will carefully. At that thought, I had no mind to listen to them, but I waited until the end of the meeting, agitated. Sister Zhang asked whether we would like to join the meeting next time. I felt like listening to how they would explain the issue that God has been incarnated again to do the work of saving man. Since they said that, they would certainly have their knowledge and there would be mysteries that I didn’t know. Regardless of whether they were right or wrong, I should have discernment. So, I promised to continue the fellowship the next night. After logging off, I lost no time in taking out the Bible and referring to the notes I took in previous studies, but to no avail. I had to kneel down to pray to the Lord, telling Him the Bible study meetings in these two days and the questions in my heart. After the prayer, the word of Jehovah God occurred to me all of a sudden, “For my thoughts are not your thoughts, neither are your ways my ways, said the LORD. For as the heavens are higher than the earth, so are my ways higher than your ways, and my thoughts than your thoughts” (Isaiah 55:8-9). Right. God’s wisdom is higher than heavens and God’s work transcends man’s thoughts and conceptions. If man could fathom God’s work, where is God’s almightiness and wisdom? These days, what Sister Zhang and Sister Liu shared was based on the Bible and they clearly communicated the truth that the Lord would come in secret and in public. Why do I have to study the Bible and find theology to verify it? The Lord Jesus says, “Ask, and it shall be given you; seek, and you shall find; knock, and it shall be opened to you” (Matthew 7:7). This is the attitude that I should have in treating the Lord’s coming. Since they said that God has been incarnated again to do the work of salvation, there must be the truth that I could seek. I ought to talk with them calmly to get the answer. So, I sent a message to Sister Zhang, “I have a lot of questions to raise. Could you answer them for me tonight?” Sister Zhang agreed happily. At night, everyone was online at the pointed time. 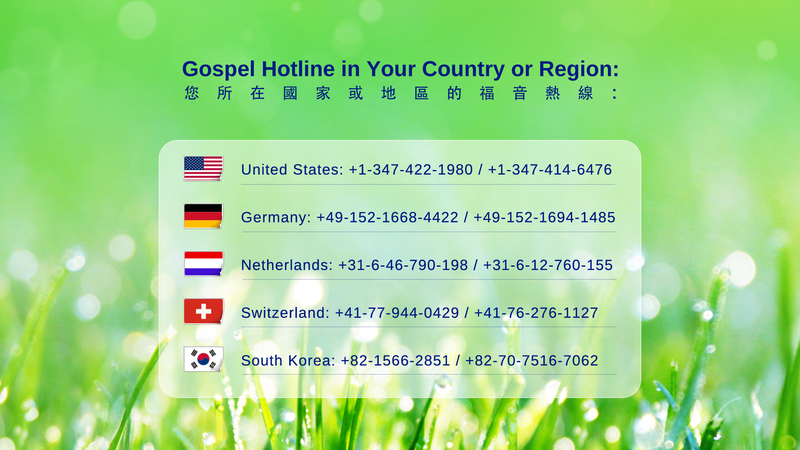 I said, “That day I heard Sister Zhang say that the Lord has become flesh again to do the work of salvation of man. It is contrary to my view that the Lord will come with Jesus’ image on a cloud. However, through your last two communications, I believe that you have a quite pure knowledge: The descending of the Son of man prophesied by the Lord Jesus means that He will be incarnated as the Son of man. You also have biblical basis for the knowledge about the Lord’s coming in secret and in public. And I can accept them. But I don’t understand why God works through incarnation. Sister Zhang said, “Let’s see what Almighty God says about it. Almighty God says, ‘Much as with the first incarnation, only the flesh of God incarnate could redeem man through His crucifixion, whereas it was not possible for the Spirit of God to be crucified as a sin offering for man. … Every time that God became flesh, it was absolutely necessary to do so. If any of the stages could have been carried out directly by the Spirit of God, He would not have endured the indignities of being incarnated’ (“The Mystery of the Incarnation (4)” in The Word Appears in the Flesh). 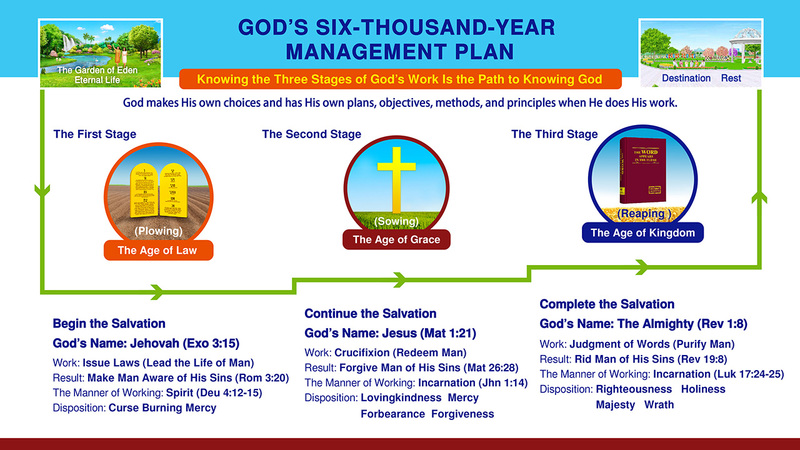 ‘The work of God’s flesh in the Age of Grace and the Age of Kingdom, however, involves man’s corrupt disposition and his knowledge of God, and is an important and crucial part of the work of salvation. Therefore, corrupt mankind is more in need of the salvation of the incarnate God, and is more in need of the direct work of the incarnate God. Mankind needs the incarnate God to shepherd him, support him, water him, feed him, judge and chastise him, and he needs more grace and greater redemption from the incarnate God. Only God in the flesh can be the confidant of man, the shepherd of man, the very present help of man, and all of this is the necessity of incarnation today and in times past’ (“Corrupt Mankind Is More in Need of the Salvation of God Become Flesh” in The Word Appears in the Flesh). 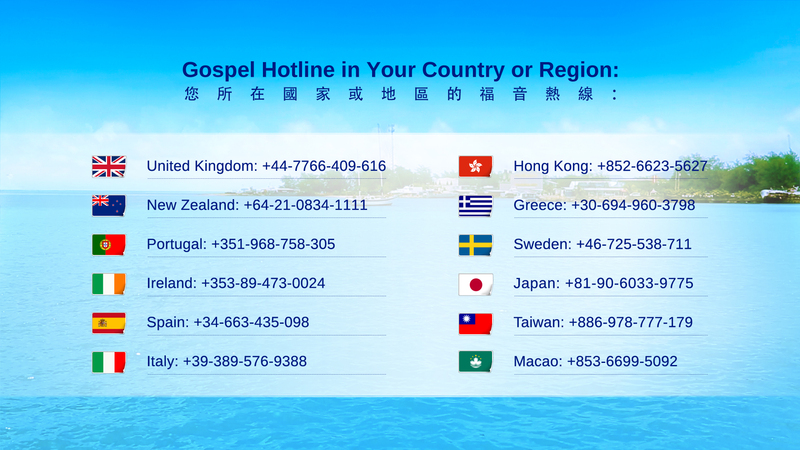 From Almighty God’s words, we can see that it is mankind’s need that God is incarnated to save them. For example, when the Lord Jesus came to redeem man, if he hadn’t been incarnated, he couldn’t have gone to the cross. Then how could he have redeemed man? If we understand why the Lord Jesus works through incarnation, it will be easier for us to understand the significance and necessity of Almighty God’s work through incarnation in the last days. We know that in the Age of Law mankind was corrupted by Satan to an extent that they couldn’t keep the law and lived in the curse and condemnation of the law and would almost be captured completely by Satan. Under that circumstance, mankind needed an eternal sin offering. So, according to their need, God was incarnated and crucified to bear man’s sin and thus man would no longer walk toward death for the lack of sin offering to atone for themselves. Moreover, in doing the redemptive work, God had to be man’s sin offering with a sinless flesh. If the Spirit worked and appeared to man from time to time, He couldn’t be crucified and become mankind’s sin offering or complete the redemptive work. Similarly, man of the last days is corrupted by Satan more deeply. They commit sins and make confession in a constant cycle and can’t extricate themselves from it, bound and restrained by sin every day. Mankind has lived under Satan’s domain thoroughly and become Satan’s embodiment. To be saved thoroughly from Satan’s domain, mankind needs the supply of God’s word and the judgment and chastisement of God’s word and needs to understand more truths, so that they can overcome Satan. Thus, it can only be achieved through the expression of words of God incarnate. Therefore, the work of God incarnate is the need of corrupt mankind and the inevitable trend of God’s work. Through God’s words and the sister’s fellowship, I understood that man who lives in corrupt satanic disposition needs the salvation of God incarnate badly. God incarnate works and expresses words to expose man’s corruption and make man know the substance of their nature so as to solve the root of man’s sin. This is indeed the need of man and can only be done by God incarnate. Before, I thought God would come in the spiritual body. Only now do I know it is erroneous and invalid. When the Lord Jesus’ spiritual body appeared to the disciples, they didn’t recognize Him. Today, two thousand years later, if the Lord Jesus appeared with that image, could I recognize Him? I’m simply too absurd! It seems that the work of God incarnate at His return is essential. Sister Zhang and Sister Liu felt happy when seeing that I had knowledge of the work of God incarnate and was willing to accept Almighty God’s work in the last days. They talked to me: There are many mysteries concerning God’s incarnation, which can’t be communicated clearly in one or two days. Almighty God’s words have opened all the mysteries. As long as we read more of Almighty God’s words, we’ll be able to understand more truths and gain God’s salvation and perfection. I said, “Thanks be to God. I’ll read Almighty God’s words attentively and accept the watering of God’s words.” Later, through devoting time to Almighty God’s word and the online meetings gathered by brothers and sisters, I understood many aspects of truths such as the differences between God’s work and man’s work, knowing the three stages of God’s work is the path to knowing God, the differences between the Holy Spirit’s work and Satan’s work, etc. I already made certain that Almighty God is the Lord Jesus’ return. In retrospect, I only knew to read and study the Bible in my belief. I had never sought the truth in the verses concerning the Lord’s coming. How many times have I felt confused, hesitated and lost direction, how many times have I had no way to go and been at a loss, how many times have I felt desperate and struggled in pain, how many times have I bitterly waited for the Lord to come again sooner…. Against my expectations, my Lord, my God has returned in the flesh and begun His last stage of work of saving mankind. 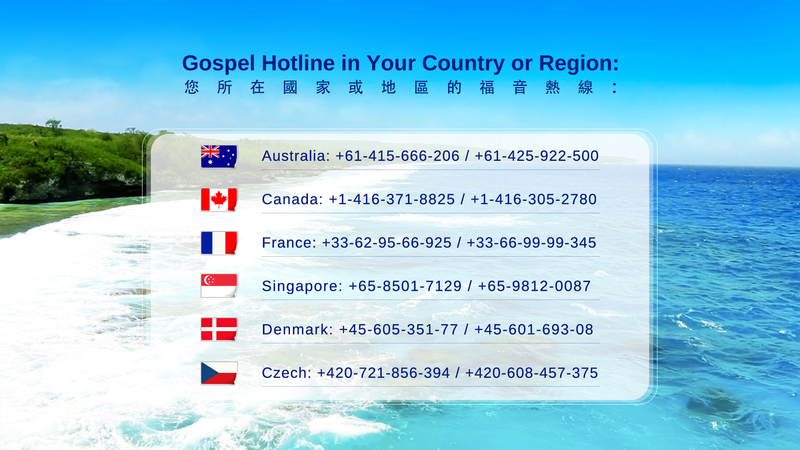 God’s words, the testimony of God’s chosen people experiencing God’s work in the last days, and a variety of videos and gospel films of testifying about God’s work have already been made public online and proclaimed to mankind. But I, numb and obtuse, didn’t seek the truth or God’s appearing and work. I’m too ignorant! Now all the darkness in my heart has been removed and I have seen the appearing of the true light. From Almighty God’s work, I know the cause of the desolation and darkness of the church: The Holy Spirit’s work has shifted. Only if we follow the Lamb’s footsteps closely will we have true peace and joy. All the glory goes to Almighty God! This entry was posted in Articles and tagged Bible, church, Gospel, Holy Spirit, Incarnation, Lord Jesus, Salvation on 2017-01-25 by summer sunshine.